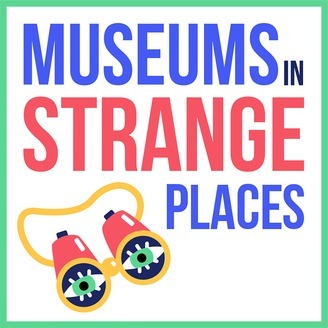 Welcome to Museums in Strange Places, a podcast for people who love museums, stories, culture, and exploring the world. In Season 1, the podcast focuses on museums in Iceland. Season 2 explores the museums of Maryland. I’m your host, Hannah Hethmon, and in each episode I visit a different museum to discover its stories, discuss challenges and triumphs with fascinating museum professionals (and volunteers), and get to know each season’s country, state, or region through it museums. I believe that museums are one of the best ways to discover a place, whether it’s your first time visiting or you’ve lived there your whole life. Join me on this adventure as I get to know the world….one museum as a time. Get bonus material from each episode (photos, further reading, links) by visiting individual episode pages at hhethmon.com. Use the hashtag #MuseumsinStrangePlaces on social media. Interested in starting a podcast at your organization? Check out my new book, "Your Museum Needs a Podcast: A Step by Step Guide to Podcast on a Budget for Museums, History Organizations, and Cultural Nonprofits," available on Amazon. .
S02/E07: Located in a waterfront 1860s oyster cannery in the Baltimore Harbor, The Baltimore Museum of Industry is trying to inspire and engage their visitors around the concept of work by telling the stories of historical workers. But in order to better fulfill this mission, the museum has to be constantly re-evaluating themselves and their assumptions about work. In this episode, I talk to staffers Beth Maloney and Auni Gelles about how an experimental interactive and a new job description are pushing the museum beyond more traditional education and interpretation methods. This episode is sponsored by Grove History Consulting. Featured songs in this episode are by The Bumper Jacksons, off their new album, I Never Met a Stranger. Find more information on the museum and photos on my website, hhethmon.com. 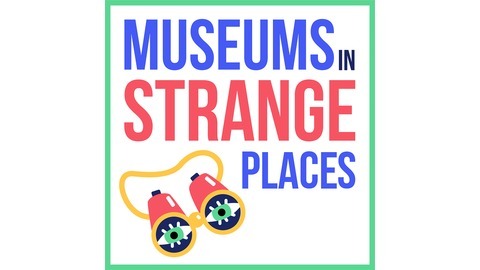 If you enjoy Museums in Strange Places, please help me keep it going by leaving a review on Apple Podcasts/iTunes or sharing this episode with a friend. Let me know what you think by sending me a tweet @hannah_rfh. Interested in starting a podcast at your organization? Check out my new book, Your Museum Needs a Podcast: A Step by Step Guide to Podcast on a Budget for Museums, History Organizations, and Cultural Nonprofits.